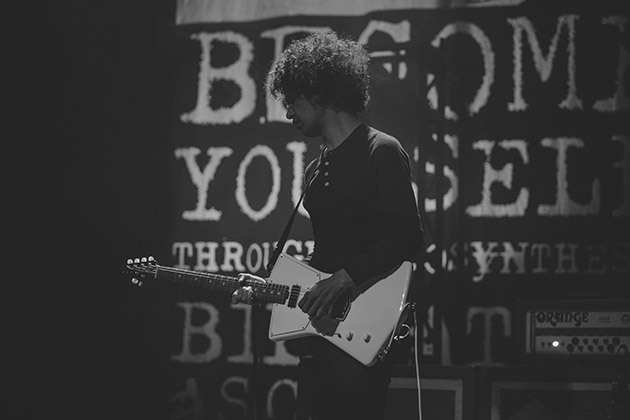 If you were lucky enough to have tickets to the At the Drive-In show at Chicago’s Riviera Theatre last Friday, you probably noticed Ernie Ball Music Man guitarist Omar Rodríguez-López sporting his custom lefty St. Vincent guitar. 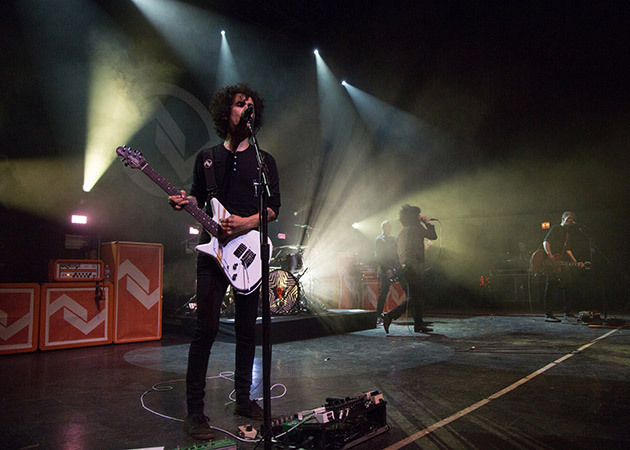 Omar is currently on tour with the band, so be sure to visit their website to get details on upcoming tour dates near you. 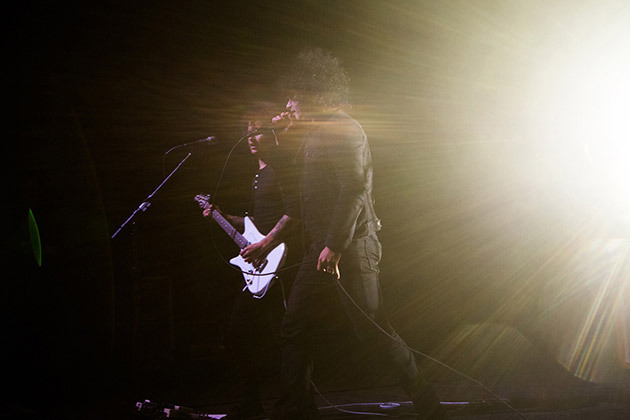 For now, check out the photos below (including pics of Omar’s equally rare and trusted lefty Albert Lee) courtesy of Brooklyn Vegan, and then visit their site to see even more pics from the show, with opening act, Le Butcherettes. 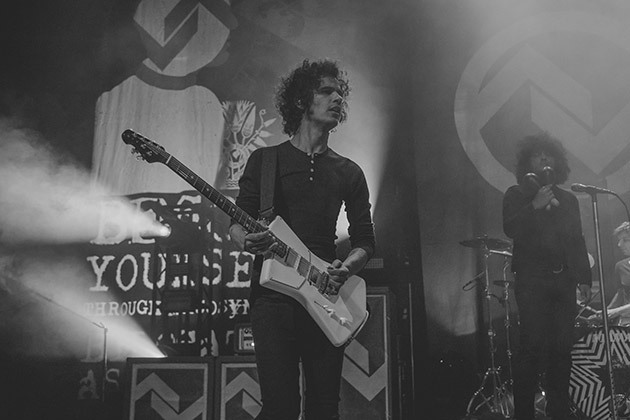 We put together a Spotify playlist based on the set list from Friday night’s show. Give it a listen. 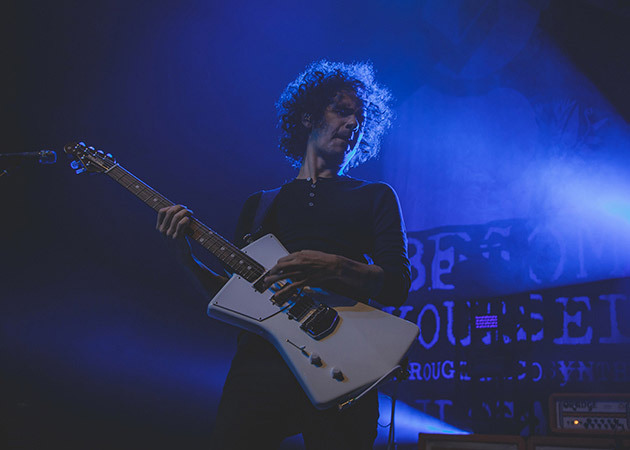 And although Omar’s lefty models are one-of-a-kinds, you can get your hands on both the Ernie Ball Music Man St. Vincent and Albert Lee HH exemplar models now. 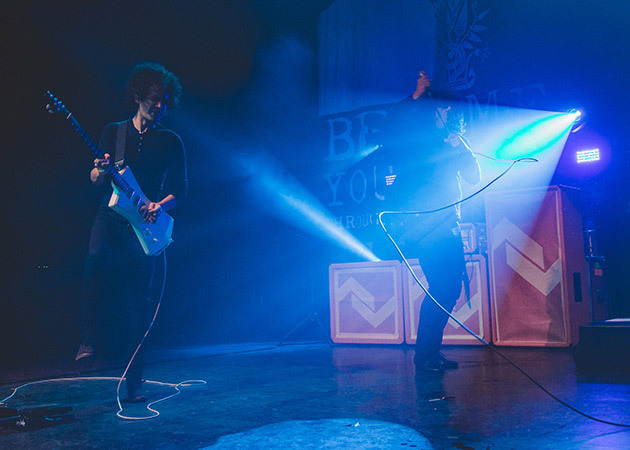 Find a dealer near you to locate your next instrument and get playing.